The summer is an opportunity for most of us to take a week or two off to recharge our batteries. Politicians are no different, with our elected officials off to their constituencies to deal with mountains of casework before heading to the beach (or in our Prime Minister’s case, the Swiss Alps). But September brings MPs back to Westminster, the government back to Whitehall and the Prime Minister back to Downing Street to face a daunting in-tray ready, hopefully, to finally make a decision on Heathrow expansion during this Parliamentary term. Various members of the government, including the Chancellor, Transport Secretary and the Prime Minister, have said that they hope to take a decision on airport expansion by October. This bodes well for the hundreds of thousands of local residents who are fed up of the continued uncertainty. One of the first steps towards making a decision will be to appoint a new cabinet sub-committee to consider airport capacity in the south-east. 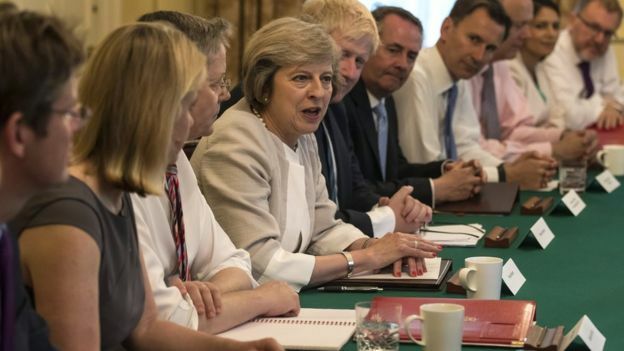 This was previously chaired by David Cameron as Prime Minister and Theresa May has said that she will chair the new incarnation - it will be interesting to see who she appoints to it. When making their decision, the members of the sub-committee will be doing so in the national interest having considered all the evidence. With a new runway at the UK’s largest port projected to generate 180,000 new jobs and £211 billion across the country, Heathrow is the clear favourite after the Airports Commission unanimously recommended expansion at our only hub airport. The cabinet sub-committee should also examine the opinions of local people living near Heathrow. They should consider that more than 50,000 local residents told the Airports Commission that they backed Heathrow expansion compared with just 161 from the main opposition group. They may also be interested in the latest poll by Populus which surveyed more than 10,000 people in the twelve constituencies nearest to Heathrow. This poll, from last month, found that 51% of residents supported Heathrow expansion whilst only 35% opposed. Heathrow has the support of a growing number of local MPs with Virendra Sharma (Ealing Southall) and Stephen Pound (Ealing North) the latest to back expansion. They join MPs like Fiona Mactaggart (Slough) and Kwasi Kwarteng (Spelthorne) whose constituencies border the airport. London boroughs from Harrow to Tower Hamlets have also joined 34 councils to write to the Prime Minister in support of a new runway at Heathrow. One or two media reports have suggested that Theresa May’s constituents in Maidenhead are opposed to Heathrow expansion. However, that is certainly not the impression we get from speaking to our many supporters in Mrs May’s constituency. Maidenhead residents have told us – and Mrs May herself – how a new runway at Heathrow will improve their lives by boosting jobs and local businesses, increasing investment and improving travel through new transport links such as Western Rail Access. As Prime Minister, Theresa May must make a decision in the national interest, but should she look to her own constituency, then she can feel confident that, come October, she can approve Heathrow expansion for the good of the country, the local area and Maidenhead itself.